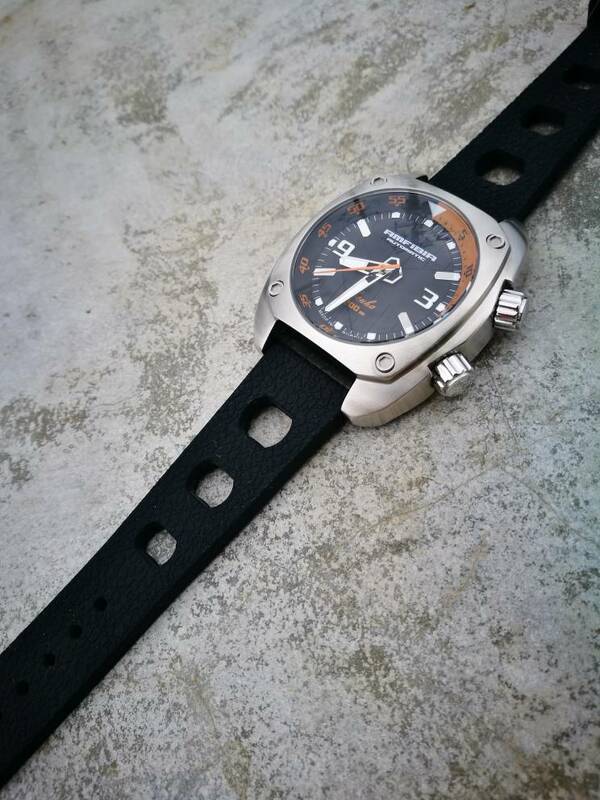 I love Vostok Amfibia Scuba's dial detais! Thread: I love Vostok Amfibia Scuba's dial detais! thewatchadude, zagato1750, mrwomble and 5 others like this. Re: I love Vostok Amfibia Scuba's dial detais! I like it too and I was going to buy but a couple of things made me pause to reflect and I would welcome your opinion. The case seems a bit bulky. The socket screws on the front have no purpose (site review). This is alien to my functional aesthetic for a dive watch. As you are now the proud owner of the stunning dial watch I would be interested to hear your review. It's a great watch, chunky yes but up to a diver watch standard... believe me you won't notice those four screw heads in the bezel. marathonna and antilucem like this. This will be my first watch review ever, I don't think I have the poetic inspiration that most reviewers seem to have but here we go. Starting with the facts: case size is 41 mm, case heigh 12.5 mm and lug size 20 mm. So in my view this is not a big watch and it doesn't feel like a big watch when is on my wrist, it feels very comfortable. I am not big, my wrist circumference is about 18 cm. I like watches that either have an interesting movement, are aesthetically pleasing and/or present something different. I tend to prefer simple watches with clean dials and no complications (except power reserve which is my favourite complication). I like almost everything about this watch. To me it has an intangible little something extra. It is different from most divers. The dial details are very interesting although they are so subtle that they are hardly noticeable when one is wearing the watch. The cross made by the 2, 4, 8 and 10 is possibly a reference to the St. Andrews flag symbol of the Russian navy, which again is an interesting detail. I like the internal rotating bezel. I like the colour combination. I like the screws on the bezel. In conclusion, I own the since June last year and I love it. It is one of my favourite weekend watches. Vostok AMFIBIA scuba and red sea...out of production?